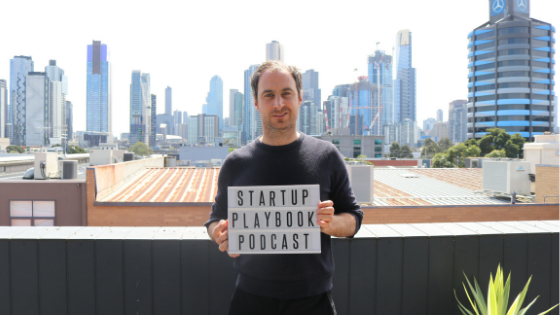 My guest for Episode 92 of The Startup Playbook Podcast is Andrew Apostola, the Co-founder and CEO of Portable. Portable is a digital innovation and design company that uses design and technology to help organisations transform the way in which they deliver services, particularly in the areas of justice, healthcare, education and government. Prior to Portable, Andrew was based in New York where he co-founded a number of technology startups including co-founding Portable Shops, an e-commerce platform for fashion designers and retailers which was acquired by Big Commerce and Svbscription, a luxury shopping service connecting customers to personal shoppers across fashion, lifestyle and accessories. Alongside his role at Portable, Andrew is also the Managing Director of Arnsdorf, a modern womenswear retailer redefining online commerce in Australia.